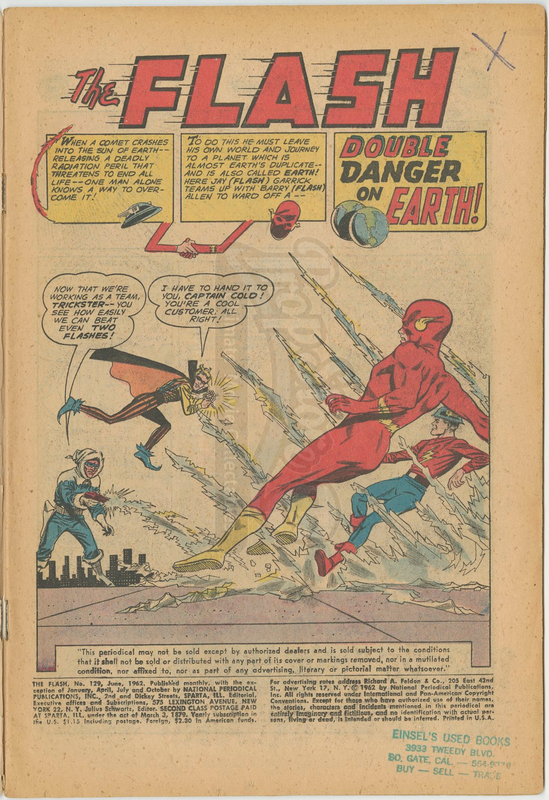 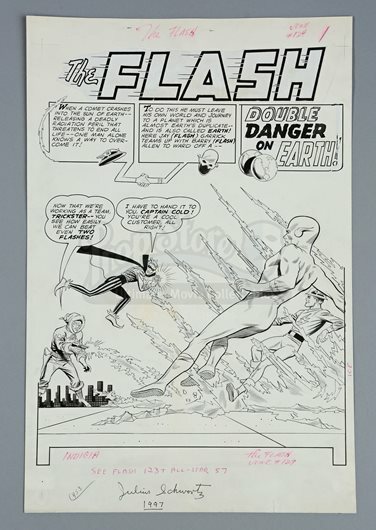 Hand-drawn page one title splash artwork by Carmine Infantino and Joe Giella featuring the Silver Age and Golden Age versions of the Flash (Barry Allen and Jay Garrick), as they face off against Captain Cold and Trickster in The Flash #129. 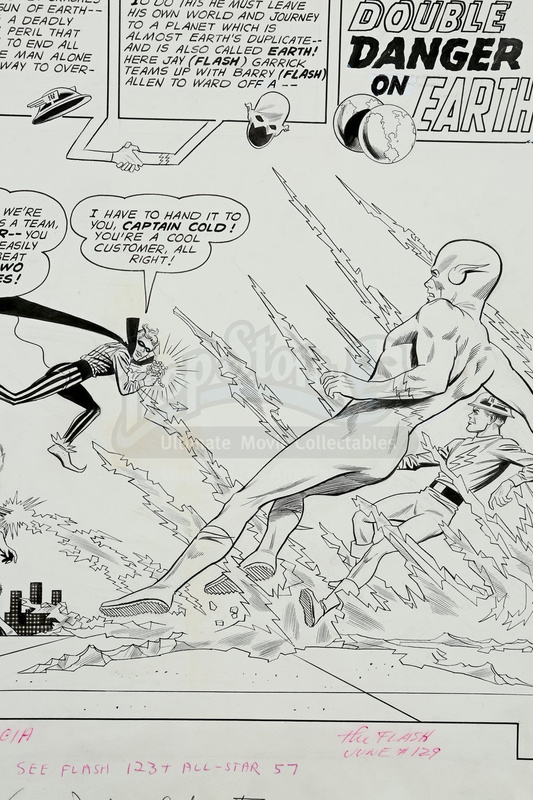 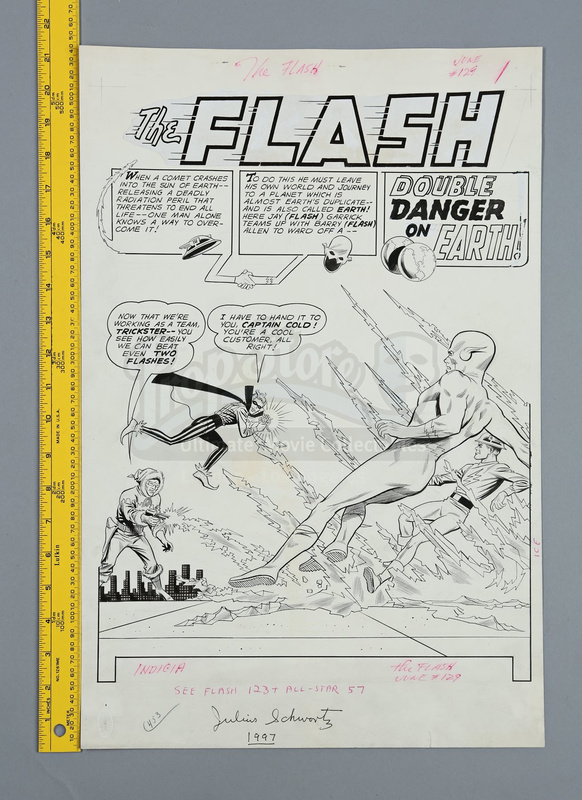 This original pencilled-and-inked artwork is drawn on Bristol board by penciller Carmine Infantino and inker Joe Giella. 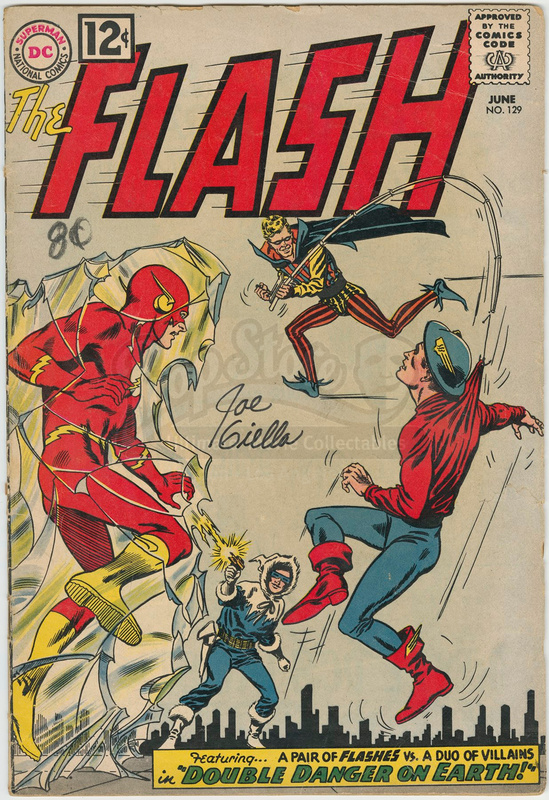 The page shows the Flashes jumping back as they are attacked by Captain Cold and Trickster, who introduce each other in speech balloons. 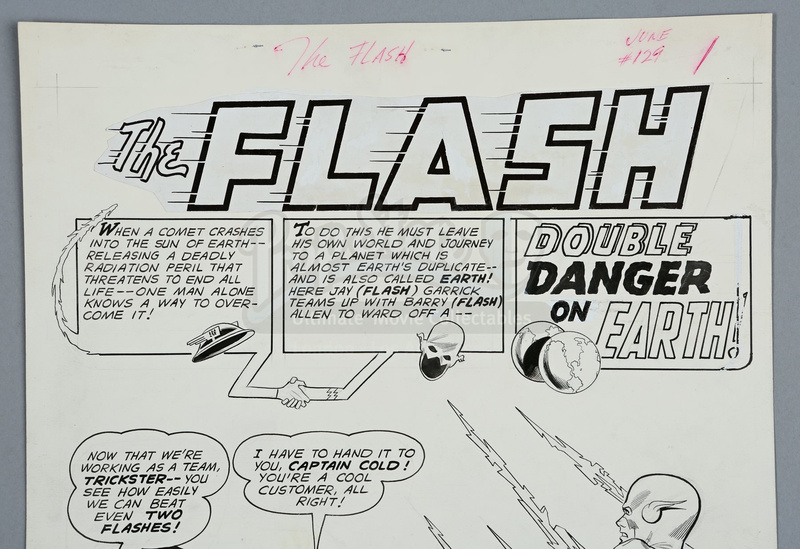 At the top of the board is the title art, along with two speech balloons discussing the Flash team up, and a third balloon that reads “DOUBLE DANGER ON EARTH”. 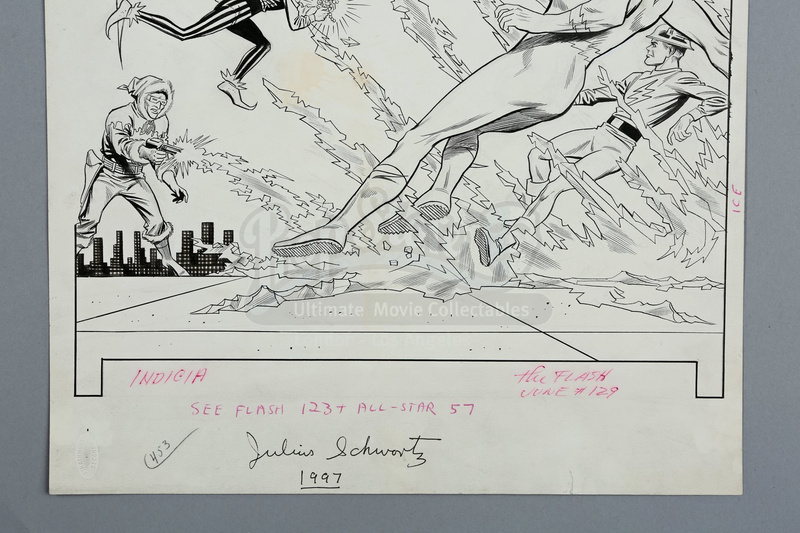 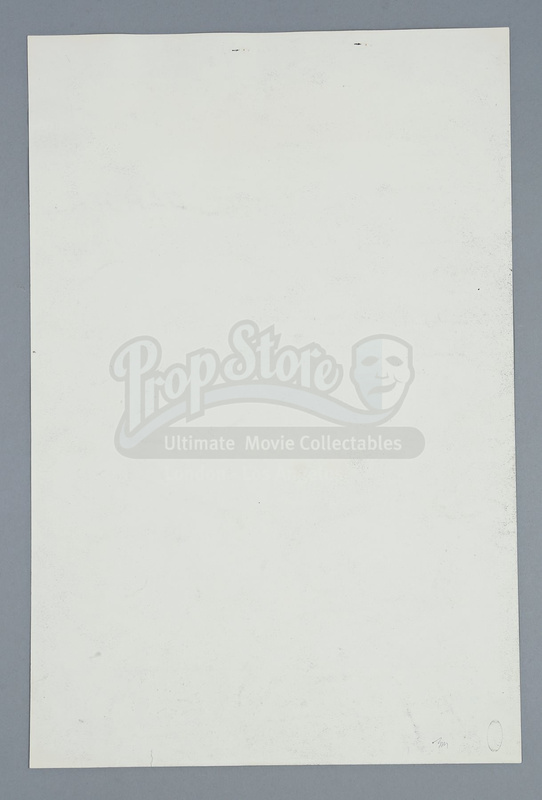 The piece is autographed at the bottom by the editor in black ink and reads, “Julius Schwartz 1997”.